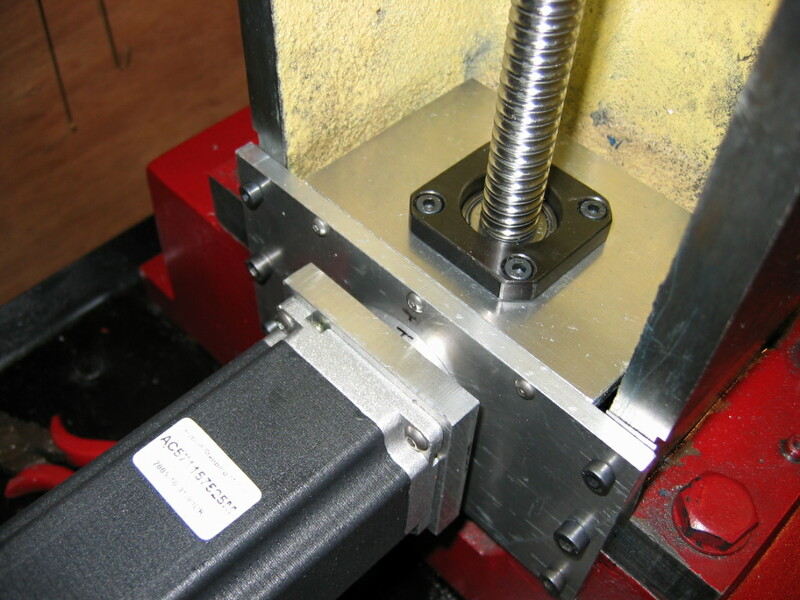 Y axis has preloaded bearing mount at inner end, outer end is free floating. 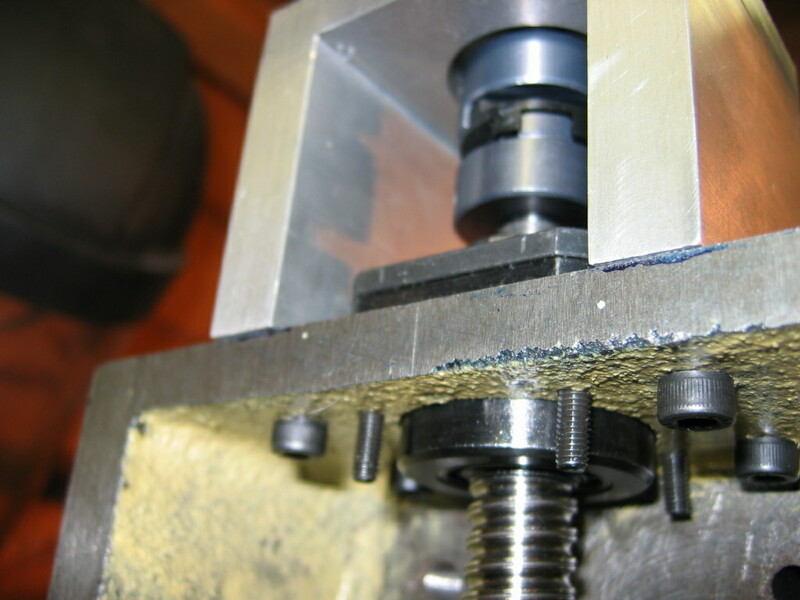 End of Z axis ballscrew with its bearing can be seen, mounting plate has not been slid into position yet. Z Axis lower bearing is free floating in its housing. The large stepper and it's mounting can be seen. Motor is from Arc Euro Trade, part # AC571157525M rated at 220Ncm. 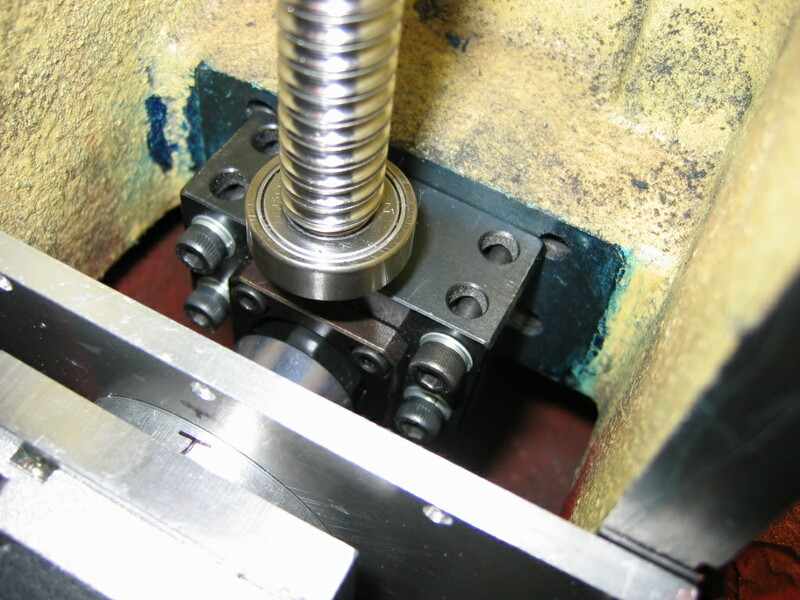 Bottom of column showing where Y axis ballscrew passes through. Hole was easily cut using a hole saw drilled from both sides. Column casting was 56mm thick at this point. 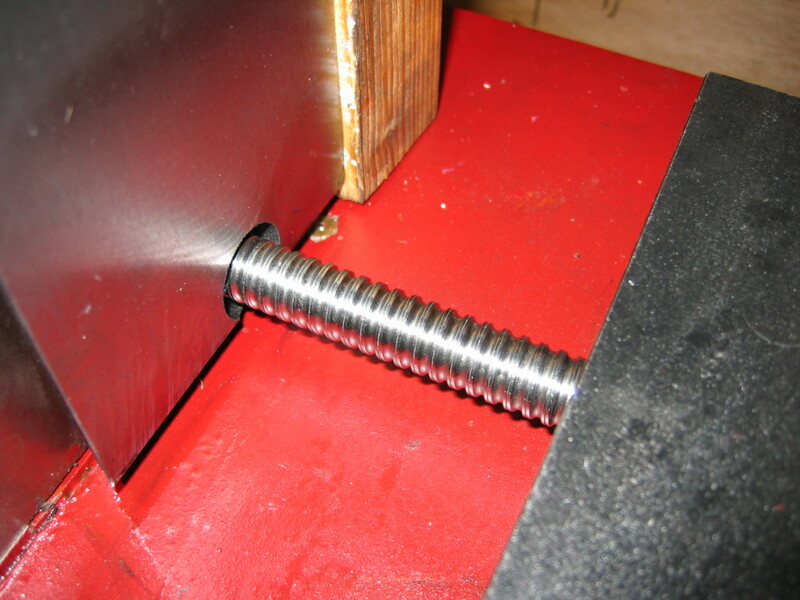 Here are a few pictures I took showing the details of the ball screw mountings during the conversion.